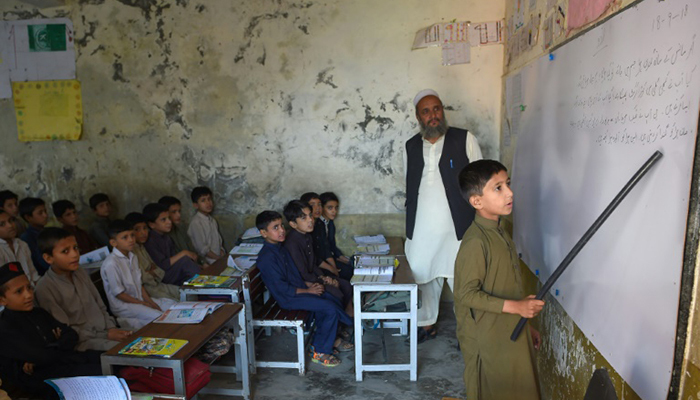 TANJAI CHEENA: At the Tanjai Cheena school in northwest Pakistan students squeeze into makeshift classrooms where plastic tarps serve as walls and electricity is sparse, as a surging population overstretches the countrys fragile education system. “The girls usually go to my house and the boys to the bushes,” says principal Mohammad Bashir Khan, who has worked at the school in the picturesque Swat Valley in Khyber Pakhtunkhwa province for 19 years. Pakistan sits on a demographic time bomb after years of exponential growth and high fertility rates resulted in a population of 207 million two-thirds of whom are under the age of 30. “We are doing our best. But those kids are neglected by the system,” says teacher Inamullah Munir. On the girls’ side, the situation is even more dire with the smallest classes hosting up to 135 students packed into a space measuring about 20 square metres. 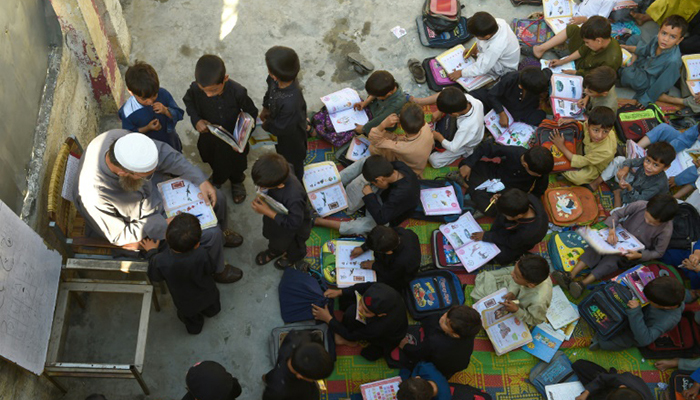 “This is emergency education,” said Faisal Khalid, a local director at the education department in Swat. The stakes are high in a country where education has long been neglected and received little in the way of funding as Pakistan focused on fighting militancy. Prime Minister Imran Khan’s Pakistan Tehreek-e-Insaf party has made “quality education for all” its rallying cry since taking the helm of the provincial government in 2013. In the last five years, 2,700 schools have been built or expanded, while 57,000 new teachers have been recruited. But the rise in spending is no match for Pakistan’s swelling demographics, even as the government plans to expand existing facilities and extend working hours in an attempt to meet demand. 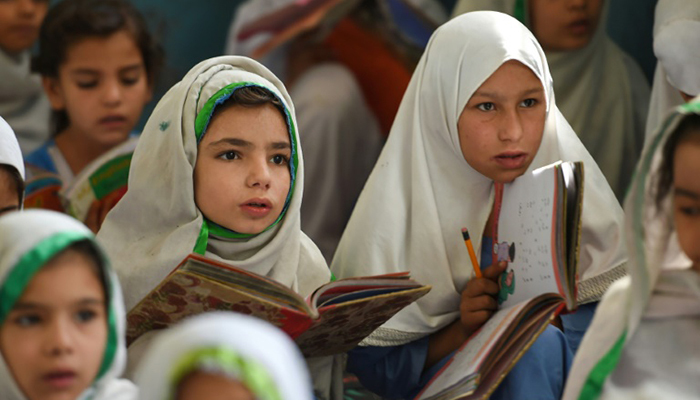 Even more worrying, the increased funding has failed to put a dent in the provinces illiteracy rates, with only 53 percent of children above 10 years of age able to read and write. The situation is replicated across Pakistan, with 22.6 million children out of school nationwide a figure that is likely to increase, given the country’s unbridled population growth.